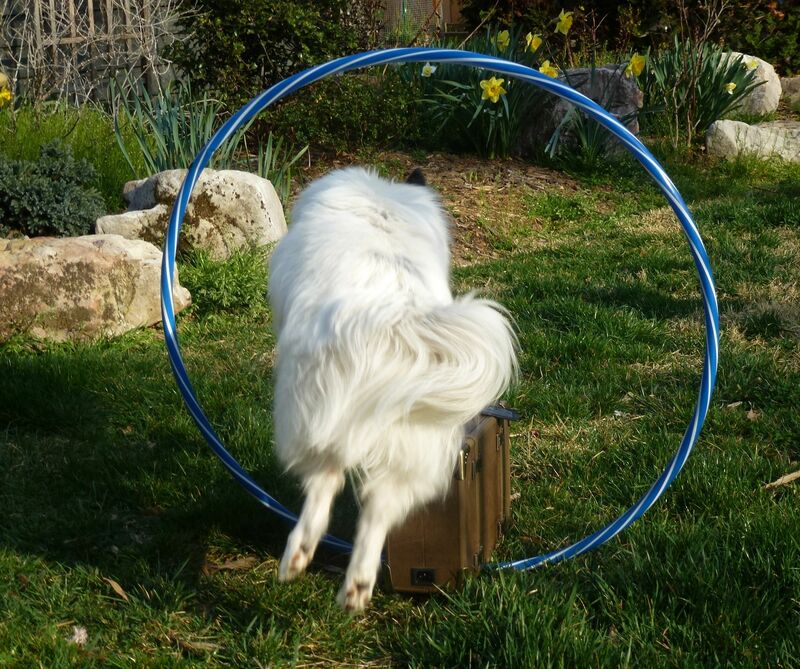 On a lovely Spring day – my Sizzix Vagabond and dog share a hoop-ful minute. What’s your Vagabond doing today? Tell Tim at http://sizzixblog.blogspot.com and get yourself a new set of stickers and those awesome gauge keys. Now I wish I could see your dog’s face. He/She looks so pretty. I bet that fur is tons of fun to keep looking that good. Dogs must look at humans and wonder what the heck we are thinking. 🙂 Very cute. Good luck…this is a contest right? Ahhh…..I should have looked…not a contest…that is a cool give away. Still want to see this pretty face though. If I attempted this with my dog~ it would be a picture of him running around with the Vagabond in his mouth!